Atlantic Southern Paving and Sealcoating is an expert in parking lot maintenance. We’ve been in business for over 25 years specializing in every aspect of how to properly design, install, and maintain parking lot areas. Our team of professionals can handle any parking lot job, big or small. A properly installed and maintained parking lot has a life expectancy of 15 to 20+ years. This range can be even higher if you have us at Atlantic Southern Paving and Sealcoating maintaining and servicing your parking area. 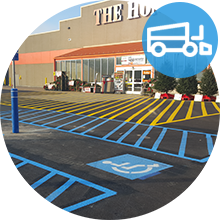 Our focus is to not only make your parking lot look great and have visual appeal but more importantly, our biggest priority is to make sure your parking lot is safe for cars and pedestrians using it. Our process is thorough, yet simple. First, we come out to your property and conduct a full site evaluation. We asses the current state of your parking lot and the condition of both your asphalt and concrete areas. From there, we put together a proposal that lays out all of your needs and what we can do to resolve them in a nicely designed project plan with an estimate of our services. Upon receiving our proposal, we also schedule a one-on-one consultation. In this meeting, we will let you know the current condition of your parking lot – good and bad, what services needs to be done, review timeline, and answer any other questions you may have. Once all parties are happy with the plan and all the paperwork is completed, we get your property on our schedule and assign your job a project manager who will oversee the project from beginning to end. After project is scheduled, our crews arrive on time and ready to work. We choose times that are the least disruptive to your property and visitors. Here at ASP, you’ll find our crews are friendly and professional and have a passion for their work. It is important that you work with one contractor who understands your needs and can guide you through a Parking Lot Maintenance plan that works and makes sense for your budget but is also executed well. 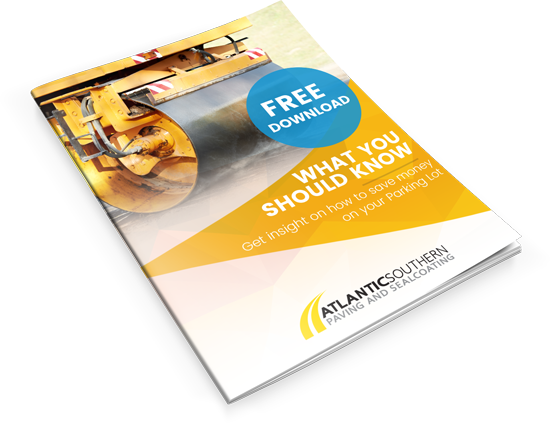 Working with an experienced and trusted contractor like Atlantic Southern Paving and Sealcoating can help you through each of these steps and have you on your way to a smooth running maintenance plan for your parking lot.